How much fun is this, writing about my favorite kids’ books! I have so many favorites it's going to be hard to choose just one. 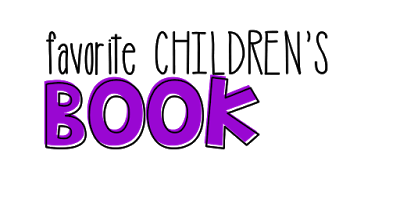 Have a box of tissues ready when you read this book to your class. I can't get through it with my throat closing up and struggling to say the words on the last page without crying. I usually have half the kids crying too! But we're not crying sad tears, they are definitely happy tears. 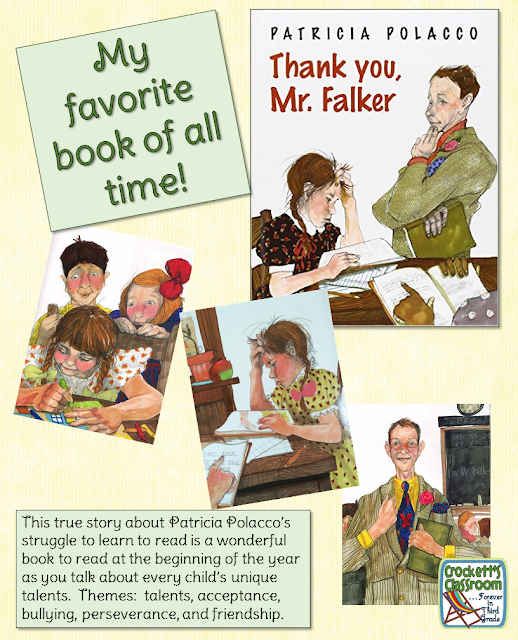 We're all happy because Trisha knows she is special and it's all because of one very special teacher, Mr. Falker. There are so many things you can stop and discuss along the way as you read this book to your class, but one of the main themes in accepting others and celebrating unique talents. Even though Trisha is admired because she does "magic with the crayons", she is bullied because she can't read. This is the perfect time to discuss and explore the special and unique talents of the students in your class. I can't think of another illustrator I enjoy more than Patricia Palacco. Her stories are not only heartwarming and genuine, they are truly works of art. 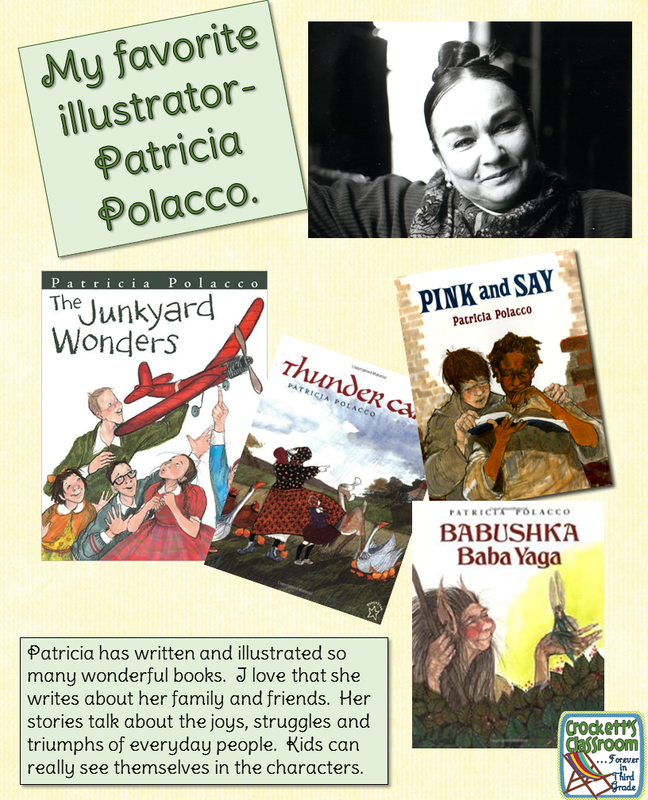 I could have named Patricia Polacco again as my favorite author, but Roald Dahl deserves the recognition in this category. When ever I needed a book to make us laugh I'd choose one of these as my class read aloud. Since I taught 3rd grade, my students were able to read most of his chapter books on their own. 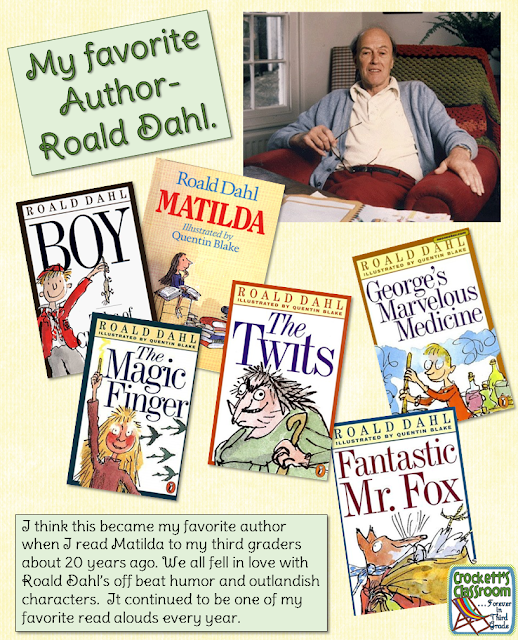 I loved doing a literature study of his books early in the year so the kids would have the rest of the year to enjoy his books. I started my literature/author study with the book Boy, Tales of Childhood. Roald Dahl wrote it as a collection of true stories from his life. I didn't read every chapter, but chose a few of the most interesting. Hearing the stories about his life the kids understood where he came up with some of his story characters and his view of adults. After reading a few chapters from Boy, Tales of Childhood I would read Matilda to the class. I think I chose this book as a read aloud because of Matilda's love of books. Every year, one of my goals was to turn all of my students into book lovers and Matilda was the perfect first step toward that goal. During the author study I would begin the literature studies with small groups. 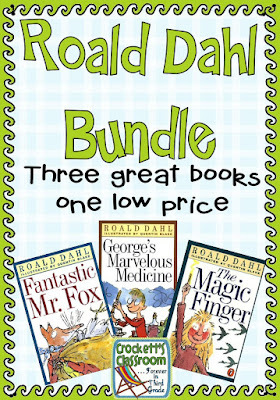 I usually used the books The Magic Finger, George's Magic Medicine, The Twits and Fantastic Mr. Fox. I have three of these literature studies available in my TPT store. The lit studies are available in a bundle, or individually.